The Warburg effect is prevalent in human cancer. Accordingly, most cancer cells display highly elevated glycolysis without proportionally increasing pyruvate oxidation. 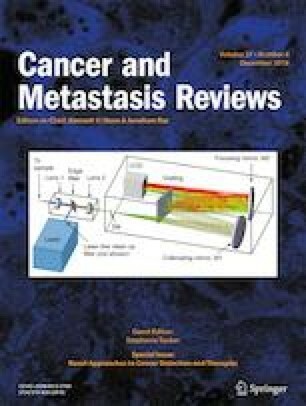 The metastatic process imposes strong selective pressure on cancer cells, and metastasizing cancer cells experience heightened oxidative stress. By constraining mitochondrial oxidative metabolism, the Warburg effect helps cancer cells to minimize oxidative stress, thereby facilitating metastatic dissemination. The PGC1α transcriptional coactivator is a central coordinator of oxidative metabolism. While promoting oxidative metabolism and reversing the Warburg effect, PGC1α critically activates antioxidant genes and protects cells against oxidative damage. Therefore, depending on the context, PGC1α may promote or suppress tumor metastasis. Cancer cells generally retain metabolic flexibility and can resist antiglycolysis treatment by undergoing metabolic reprogramming. Synthetic lethal combination therapies are thus essential to attack the liabilities of the Warburg metabolism for therapeutic benefit.